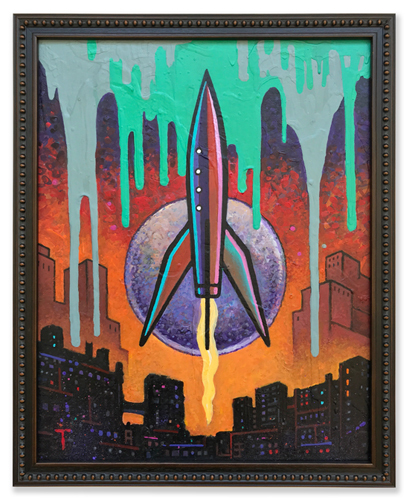 Currently available original Rocket Paintings for sale through this site are shown below. Price includes USPS Priority Mail shipping within the US. For questions on orders, please email Peter Thorpe. 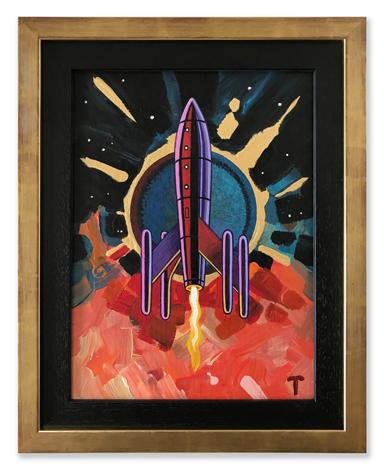 Rocket Paintings originals can also be purchased from the Peter Thorpe pages at Novaspace and Parrish Books. 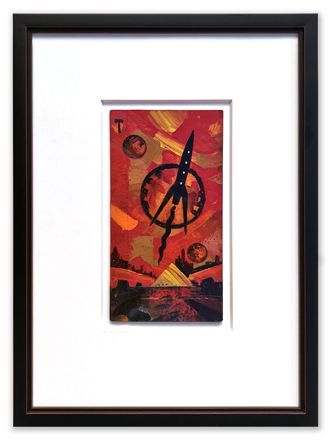 original painting framed  17 3/4" x 21 1/2"
original painting framed  12 1/8" x 15"
original painting framed  10 1/2" x 14"